Pelling is one of the top hot spots and destinations in Sikkim. Pelling is located in west Sikkim and it is a major tourist place in west Sikkim. Most of the tourists keep Pelling in the itinerary and trip plan of Sikkim. The mountains in west Sikkim are green and not as rough as east or north Sikkim. The scenic beauty all around is just awesome. The view of the Mt. Kanchenjunga from Pelling is breath taking. 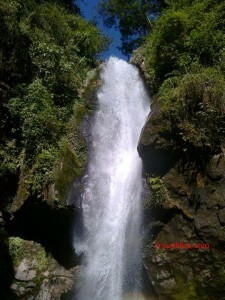 There is some major waterfalls and many must visit places in and around Pelling. Pelling can be reached directly from New Jalpaiguri (NJP), Siliguri and Bagdogra. There are regular taxi services from NJP station and Siliguri taxi stand. Pelling can also be reached from other parts of hills. One can get shared taxis or hire a full vehicle from the prepaid taxi booth just outside the NJP station. There are always ready taxis to Pelling from the prepaid taxi booth. The fare of a vehicle varies with time and season. The cost of hiring a vehicle like Sumo, Max, Bolero is Rs 3,000-3,500. The cost of hiring a small vehicle like Alto, WagonR, Indica is Rs 2,500-3,000 and cost of hiring a luxury SUV like Innova, Scorpio, Xylo etc. is Rs 3,500-4,000 approx. If you need a shared service, you can avail a shared journey at Rs 300 per head. The car rates are approximate prices as of April, 2014. From Siliguri, there are shared taxis and bus service to Pelling. The rate for a shared journey from Siliguri to Pelling is Rs 280-300 approx. You can also hire a full vehicle if required. The Sikkim govt. also runs bus service between Pelling and Siliguri. There is only one bus per day which leaves Siliguri terminus around 11am. Shared taxis are not available from the airport. One needs to hire a full vehicle for the journey from Bagdogra to Pelling. In case you don’t get a vehicle from airport, transfer to Siliguri taxi stand by an auto rickshaw which will cost you around Rs 100 and from Siliguri you can get a vehicle for sure. One can even get a shared trip from Siliguri. It is around 30 min journey from Bagdogra to Siliguri. Tourists who don’t travel to Pelling directly, they can visit the place from Gangtok too. There are regular taxi services from taxi stands in Gangtok. One can go for a shared trip. Taxis for Pelling leave from the taxi stands near MG Marg and Assembly House. A shared trip is Rs 250-300 per head. One always has the option of hiring a full vehicle. One can visit a taxi stand and hire a vehicle or ask for a car at the hotel door. There is nothing to see or visit in particular along the usual way from Gangtok to Pelling directly but if you are interested in doing sightseeing on way and really want to visit some places of interest on way, I would suggest you to go via Namchi covering Temi tea garden, Samdruptse and Char Dham which are excellent places to visit. You won’t get a shared vehicle on this route, so you would have to hire a vehicle which would cost around Rs 4,000-4,500. The rate of vehiucle is provided as of April, 2014 which can change with time. I would always suggest this route when someone intends to visit Pelling from Gangtok. One can hire a vehicle to reach up to Pelling from Darjeeling or any other place near Darjeeling. There aren’t any shared taxis available, so one has to book a vehicle. Shared trip is only possible if you can manage other tourists. The cost of hiring a vehicle from Darjeeling to Pelling is Rs 3,000 approx. Pelling is segregated in to three parts, i.e. Lower Pelling, Middle Pelling and Upper Pelling. The scenic view is good from all the parts but people prefer to stay in Middle and Upper Pelling. Mt. 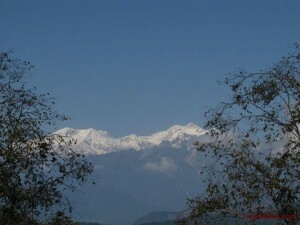 Kanchenjungha is very promptly visible from everywhere in Pelling. I would suggest you to go for a view room because watching the Sleeping Buddha (Mt. Kachenjungha) from Pelling is an awesome experience. The peak looks very close from Pelling. One can walk up to the helipad at Upper Pelling to have a beautiful view of the surroundings. There are hundreds of hotels in Pelling from budget ones to luxurious ones. It is better to book one in peak seasons. The tariff of the hotels varies with season and demand. To visit all major and popular places of interest in Pelling, one needs a full day. The sightseeing is a must do thing in Pelling. Pelling sightseeing is done in two parts, one before lunch and the other one after lunch. If you have time, you can do the sightseeing in 2 separate days rather than going for 1 day only. The cost of hiring a vehicle for full day sightseeing is Rs 2,000-2,500 in peak seasons and Rs 1,500-1,800 in lean seasons. The car rates are approximate figures provided as of April, 2014. 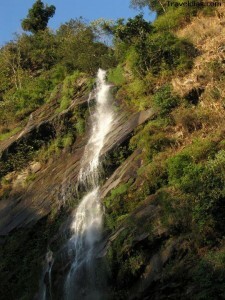 It is the highest and largest waterfall in Pelling. One can reach up to the bottom of the waterfall and have a bath underneath the chilling water. 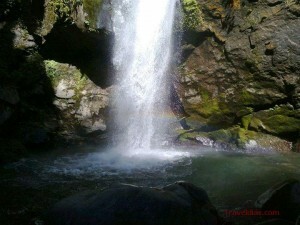 Water falls with heavy force creating rainbows near the bottom of the waterfall. It is a must visit place. It is a popular tourist destination in Pelling. 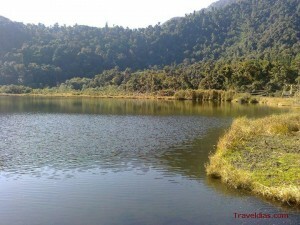 Khecheopalri Lake is considered a holy and sacred lake by the Sikkimese people. The lake is quite large and the water of the lake is crystal clear. I just wonder how is it possible that there is never a dry leaf in the water of the lake even when the lake is surrounded by trees. People say that there are birds which take away the dry leaves or anything else that floats on water. The lake has huge quantity of colorful fish but feeding them is prohibited. It is a must visit place in Pelling. The Bridge is said to be the second highest gorge bridge in Asia. The bridge being a marvelous piece of engineering links two hills. The scenic view all around from the bridge is awesome. The breeze blows heavily at such an altitude. It is a good place to visit. It is not as heavy as Kanchnejunga waterfall but has its own beauty. Water falls from a high source creating a small water body at the bottom. The greenery all around the waterfall makes it more prominent and beautiful. It is a popular tourist destination in Pelling. 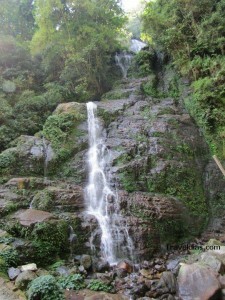 Sangay or Changey waterfall is very picturesque and one can shoot some quality snaps here. It is a must visit spot in Pelling You can find the ruins of the palace now which was destroyed long ago. The ruins are so historical and the view all around is astounding. One has to walk up to the spot of ruins and the nature walk through the greenery is just superb. It is a 15-20 minute walk from the road. The view of Rabdentse Ruins from the Pemayanse Monastery looks superb too. A superb architecture I must say. Pemayangtse Monastery is a must visit place if you love monasteries and Gompas. The paintings on the walls and the sculpture are really appreciable. The monastery is located at a hilltop. The view of the Rabdentse Ruins from the hilltop looks fabulous. It is a beautiful garden with colorful flowers and plants by a stream of water. The park is located on way to Khecheopalri Lake and Kanchenjunga Waterfall. It is not a must visit place but you can always make a halt here. It is one of the oldest monasteries in Sikkim located at a hilltop with a breath taking panoramic view of the mountains all around. One has to trek up to the monastery. A nature lover will surely love this nature walk. There are certain other places of interest near Pelling which are worth spending nights. 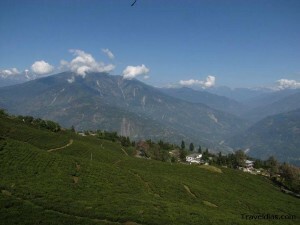 These destinations I have named below are more serene and tranquil compared to Pelling. These places receive very less tourists as these are not so popular as yet and kind of offbeat destinations till date, April, 2014. If you are a true nature lover then spend nights in any of these destinations and you will feel the pleasure of heaven. The scenic beauty at all the below mentioned places are so astounding. One would surely love the visit to this amazing place. Pelling is really wonderful. One needs at least 2 nights stay in Pelling to cover all the tourist attractions and places of interest. If you are visiting Pelling from Gangtok, do travel along the route via Namchi as I have suggested above. If you have 1 night extra, spend that night in Kaluk and take a nature walk up to Richenpong which will be an amazing experience. If you want to cover Okhrey, Hilley and Versey, you would need 2 or 3 more nights. very happy to see all these useful information on various spots. We (5 members) are planning to visit Gangtok and pelling in this Puja vacation (30th oct-10 Nov). Want to start journey on 30th OCT at night from sealdah. we want visit lachung, yumthang valley, zero point,lachen,gurudungamar lake and local sight seeing…then Pelling. Now please give me some advise regarding itinerary, tour plan and expected transportation cost. I can share everything in detail for sure. Drop me a mail at “uvreachedavi@gmail.com” with reference to this conversation. I will surely assist you in this regard. My database shows once I helped you with all information for your Gangtok and north Sikkim trip, back in May 2017. Welcome back! I think you have my number with you. please do give me a call. Let us discuss over the phone. There are many places to visit in north Bengal and Sikkim from Bagdogra. If you intend to visit hills, I would suggest you to visit Sikkim. There are many places to visit. I feel you can visit Gangtok or Pelling with kaluk, etc. Drop me a mail at “uvreachedavi@gmail.com” and I would help you with a customized plan. 1) Bagdogra to Namchi = ? 2) Namchi to Pelling = ? 3) Peling to Kaluk via Uttarey = ? 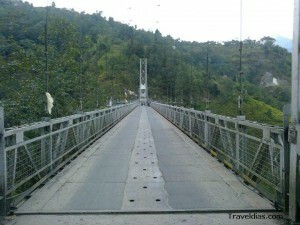 4) Kaluk to Kalimpong = ? 5) Kalimpong to Bagdogra = ? I am planning for early Oct 2015. Please drop me a mail at “uvreachedavi@gmail.com”. Presently I am a bit busy will reply you there in the mail. Please inform me the fair rate per head from njp to pelling by SNT. It has been a long time I have traveled by bus there. I always take a reserved vehicle. Last time when I took the bus it was around Rs 120 per head. I am sure it is up to around Rs 200 or a bit more than that. Shared cars will take around Rs 300 per head I guess. Will it be possible to get shared jeep from pelling to njp/siliguri at 12noon-1pm? Yes, you can get shared jeeps from Pelling to NJP to Siliguri by that time but frequency is highest till morning 10. Hi, We will be reaching NJP at 5 AM and is there nyway we can get the shared jeeps from 7 AM, because to save from waiting till 11 AM for SNT bus?? You can get shared vehicles from the prepaid taxi booth just outside NJP station. I am not sure when it opens but it should be operational from 7 morning. Does shared jeeps from NJP go till upper Pelling or drop passengers at the West Sikkim headquarters at Geyzing from where we have to take another shared jeep to reach upper Pelling? I heard that vehicles from West Bengal are not allowed beyond the respective district headquarters…. Please inform. There are ready shared vehicles from NJP to Pelling. Shared taxis from NJP goes up to upper Pelling as far as I remember. In case the driver resist to go beyond middle Pelling, you can walk up to your hotel or ask your hotel manager to pick you up from the point of drop. It is not very far. It is walk-able distance. We r planning to visit gangtok darjeeling in 8to14 feb2016.i have made route like this please tell is it feasible or not —- from njp -pelling-gangtok-darjeeling-bagdogra.can u suggest some more tips in this….THANKS IN ADVANCE. Wish I could help you but I was stuck with other things and I just checked this comment. Please don’t mind and let me know if you need any information in future. Keep traveling and stay healthy. Will be travelling to pelling from njp (2+1 heads). Will reach njp at 9.30 am (estimated). Are there enough buses from Siliguri to Pelling and what r the timings? Do they travel to Upper Peilling? Are Shared cars a better option? And lastly how do I travel from Pelling to Gangtok, Bus / Shared car? There are only 2 buses to Pelling from Siliguri as per my knowledge. I am not sure if new buses are assigned along the route recently. There are many buses from Siliguri to Gangtok. I personally prefer to travel in reserved cars. I have also traveled in shared cars which I feel is better option. The bus travels to upper pelling. From Pelling to Gangtok you can get hared cars. If you want to cover Namchin on way, you will have to reserve a car. Hi, please help me with providing details of transport charges from Bagdhogra airport to Pelling and vice versa. I wish to book private cab/innova for myself. And any idea of package charges for sight seeing in Pelling? Are cabs easily available and are reliable? Please reply as I am planning to visit Pelling soon. Thanks!! It is better if you hire a vehicle (Sikkim number) that poicks you up from Bagdogra and drops you at Bagdogra after covering Pelling. You can mail me at “uvreachedavi@gmail.com” for further details if needed. Hi, is it possible to reach Pelling through reserved vehicle if we start our journey from Bagdogra airport at 3.30 pm? How many hours will it take from Bagdogra to Pelling. Also, if we continue our journey from Pelling to Gangtok next day, which are the places to visit en route. If Namchi n Ravangla both can be covered ? If not, then which one to be preferred? Wish I could help earlier. Unfortunately I just checked your comment. Let me know if I can be any help in future. We are 5 people visiting Sikkim next month. We are covering Gangtok and Pelling. Whereas we have fully planned our Gangtok itenarary (including taxi bookings) we are still confused about Pelling. We will be completing our North Sikkim tour on 12th of May and thereafter we will have 2 more days for Pelling. The confusion is which aside from the local sightseeing in Pelling what should be our other day plan?? I would also like to know where in to book taxis in Pelling for local sightseeing as well as other day which we can spend in Kaluk, Ravangla etc. . . . The day you reach Pelling from gangtok, you will have nothing to do except going around and take a nature walk. The next day, on day 2 you go for a full day sightseeing and o/n stay in Pelling. So 2 days are spent and next day you can check-out. You can book vehicle for sightseeing from the hotel desk or any local operator. Ravangla needs 2 nights separately. If you have 2 more nights, you can cover Ravngla along with Namchi. I shall recch Bagdogra around 3 pm shall I proceed to pelling. Or stsy at Siliguri and start next day. What you suggest. If you have time in hand, you can spend the night at Siliguri and proceed to Pelling next day early morning. If it was any other place like Reshikhola, Padamchen in east Sikkim, I would have suggested to set off rather wasting the day at Siliguri. I can suggest you the trip plan but for that I need to know your plan for the trip. If needed, you can mail me at “uvreachedavi@gmail.com”. I don’t think you will get a cab easily to drop you at Ravangla from Darjeeling that time. It is better you call your Ravangla hotel desk to send a pick up vehicle for you at Darjeeling station. We (husband wife, 4yrs old kid and mother) want to visit pelling. We will start from kolkata on 29th october(saturday) and return ticket on 5th november(saturday) from NJP. I want to cover Pelling, Rinchengpong, Ravangla, namchi(Temi tea garden), Gangtok including changu lake nathula pass & baba mandir. is it possible to cover all these area. Please advice me which route i will follow and where we will take night stay. Please send me the best itinerary. You can first cover Pelling, Kaluk, Richenpong and Ravangla and then you can visit Gangtok. Details i will mail you. Check your inbox and revert back there. One thing I am scared off, there is huge rush to Sikkim in October and you are still not done with bookings. Wish you get bookings and enjoy the trip. I have shared the trip plan. Please do check your inbox. We (wife and 6 yrs old kid) want to visit pelling. Please you suggest to reach from NJP to Pelling. You can either take a shared car or reserve a car from NJP station prepaid taxi booth. If you reach NJP station early in morning, you can reach up to Siliguri bus terminus and from there you can avail a bus journey too. YOU WILL CONFIRM BUS AVAILABLE FROM SILIGURI IN MORNING TIME. WHAT IS THE ACTUAL TIME TO STARTED THE BUS FORM SILIGURI AND THE PROCEDURE OF TICKET? There is only 1 or 2 buses from Siliguri to Pelling. Buses departs in morning around 7-9 am from the terminus at Siliguri. You will have to reach the terminus and book tickets. We are going 14 person 14aug to 17 august. Wish I could help you but unfortunately I just checked your comment. Also, can you let me know by when I will be able to leave for gangtok if I start my sightseeing at 6 AM on 6th Dec. and whether that will leave time to visit Rumtek Monastery on the way to gangtok. Also anything I am missing in Pelling whcih I should cover before leaving for gangtok. Mailed you all details. Check your inbox. Can anyone tell me whether I can get sharecab for sightseeing in pelling as we are two. Yes, you can get for sure. The hotel desk can help you in this regard. We are planning our honeymoon trip to gangtok-pelling-ravangla-namchi in last week of january for 6N/7D. 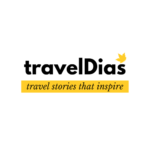 Can you please provide the itinerary by considering the feasibility of places on that time due to snowfall and road blockage and a relaxed trip. As well please let me know how will be the tourist rush on that time, by which time bookings can be done, and the reserve car rental by that time. And whether it will be preferable getting a reserved car for complete trip or from local taxistand reservation should be done. Unfortunately none of the place as mentioned by you receives snowfall. These are commercial and most visited places in Sikkim located at lower altitude. If you want to experience snow but want avoid road blocks and hassles, you can try Silk route. You can reach up to a certain part of Silk route (up to he reachable point) because Silk Route receives heavy snowfall. Best will be if you cover Pelling, Gangtok and Silk route. It is always better if you a reserved car for the entire trip. For Silk route along east Sikkim you must have reserved car because there are no taxi stands and one can not get ready taxis. Accommodation along Silk route is also limited, so you have to book and arrange all your stays in advance. Let em know if you need further details or information. I can suggest you further accordingly. Is possible to go gurudambha Lake.,and zero point and katay in 25th December. As far as Gurudongmar lake is concerned, chances are negligible. The lake remains closed due to snowfall. You can visit Yumthang and Zero Point from Lachung. we (3 no.s) r planning to visit pelling on 14-16th oct 2016 and 17-18th at gangtok. we will reach njp on 14th morning then we will proceed toward pelling. can u pls suggest a trip plan for local sightseeing in pelling and for gangtok. pls do suggest some travel agency with contact number for the same. we prefer shared vehicle/cab. Wish I could reply you earlier. I just checked your comment. Hope next time I can help you out. I’ll be reaching Siliguri Jn railway station on 26th January at 8:00am & my return train from NJP is on 30th January at 9:00pm. Can anyone suggest me a tour plan for these days at Gangtok & Pelling. Are there buses/shared jeeps available for the the tour? Kindly reply. You can spend 2 nights in Gangtok and 2 nights in Pelling. The day you reach Gangtok, take a cab to cover the local places and next day you can go for day trip to Tsomgo Lake, Baba Mandir and Nathula. 1 full day is enough to cover all places of interests in Pelling. Shared cars are available between NJP/Siliguri and Gangtok, Gangtok and Pelling and Pelling and NJP/Siliguri. You can also go for shared trips on sightseeing from Gangtok and Pelling. For this you will have to inform the hotel desk or tour operator in advance. For Gangtok local sightseeing on 26th Jan, you will have to reserve a car. I have sent you a detailed plan in mail. Check your inbox and revert back there if needed. I am reaching NJP on 15th nov morning and then will go to pelling. Kindly suggest me with sight seens where should i go. Kindly help me with tour operators or travel agent numbers also if possible. Hello! are yo talking about Nov, 17? This is just Dec, 16. Please confirm the date of your visit again. I can surely help you with details required. at Pelling on 25th Dec’ 2016. pls do suggest some travel agency with contact number for the same. we prefer shared vehicle/cab. As you are 13 in number why do you want to travel in shared car. It is better if you reserve 2 cars. It can be 7+6 in two cars. Let me know what exactly you need. Is it hotel and car or anything else too? I would suggest the person accordingly. I want to go Pelling wth my daughter( age 3+1/2 yrs) and wife.Date of journey 23RD MAY…from sealdah at night…I want to stay upto 27th May in Pelling.want to visit Darap,Rimbi,Khecheopalri lake,Khangchendzonga falls,Yuksum,Phamrong falls,Tashiding Mons.,Singshore,Kaluk,Rinchenpong….Shall I cover all these spot?kindly help…& pls give the tour details & taxi fare at that pick season.Can I hire car from hotel?? Don’t stay all nights at Pelling. 2 nights are okay to cover Pelling. Rest you can stay at Kaluk. Richenpong can be visited from Kaluk. May is peak season time and prices would be high. You can surely hire a cab for the entire trip. You can hire a small cab like Beat, Indigo, WagonR, etc. Yes, you can get car from hotel. Thanks Mr. Abhijit Gupta for your helpful opinion…actually my some frnds will be there upto 26th…& some will be there from 26th upto 27th.So i have to stay all the nights in Pelling..It is my second trip in Sikkim..the previous was Changu and then Yamtham.Can I make a trip to Kaluk, Rinchenpong and Singshore bridge on the same day and again back to Pelling? ?whts the required time will be? ?How can I visit Yuksum,Phamrong falls & Tashiding Monstry?? Kaluk should be a different stay. One can visit Richenpong from Kaluk on a day trip. If you want, you can take a nature walk upto Richenpong from Kaluk. For any query you can mail me in the thread we are communicating. We have a plan on sandakphu from 30 april to 3rd may. Then we want to go pelking from rimbik at 12 o clock,3rd may. Is it possible to get a cab from rimbik to pelling ..?! If possible then how much the fare will be.. Yes, you can get a cab. It will cost you around Rs 3,500 approx. I am reaching Njp on 17.05 around 9.30 am, with my wife, daughter and mother (73). Returning on 22.05. My mother is suffuring ostioarthaitis. Looking after her situation, and my tight budget, please advice me a tour plan to cover Pelling, Ravangla and Darjeeling. Also request for estimated cost brakeup for the proposed tour plan. Please check your inbox. I have mailed in detail. Am reaching to NJP on 4th of June (Sunday) at 8:00 am. Please let me know from where I could get a share taxi for Pelling ( Upper Pelling, Chung Pong Road, Naku, Sikkim 737113) ? And can Ravangla and Namchi be visited on the way to Gangtok from pelling!! You can get shared taxi to Pelling from the NJP prepaid taxi booth and there would many drivers outside the station asking for a drop to Pelliing. Just negotiate with one and get in to the car. You can cover Namchi on way to Gangtok from Pelling. Better if you stay 1 or 2 nights at Ravangla. Hi, I plan to visit Pelling and Gangtok in March mid. I will be reaching bagdogra around 3 pm. Is it advisable to to directly to Pelling at this time? If I start early morning the next day, how much time will it take for us to reach Pelling? I kind of have 4 days only with me and am wishing to visit both Pelling and Gangtok. Kindly advise. If you have only 4 nights – 5 days in hand, it is better you visit either Gangtok or Pelling directly from Bagdogra after you land. You must have a reserved car to pick you up from airport to make sure you are not late. It will take around 5 hours to Gangtok or Pelling. Please confirm if you have 3 nights – 4 days or 4 nights – 5 days. I would suggest accordingly. In case you have only 3 nights – 4 days, it is better you focus on any 1 place and avoid visiting both. I suggest you visit 2 places only if you have minimum 4 nights – 5 days in hand. You will need minimum 2 nights at each places though Gangtok needs minimum 3 nights. Share your feedback and I will suggest further accordingly. I really doubt. You can get shared vehicles from Pelling to Gangtok and that too if you make it early in morning. Afterwards you will not get shared cars. To go Kaluk, Richenpong or Ravangla, it is better you reserve a car in advance. In case you reply on shared cars and if you don;t get any on spot then the drivers would be crazy enough to charge you double and you would have no other option. Have you already booked your hotel at Pelling? The hotel desk can help you. I with four members going visit pelling and Gangtok on May. Can you suggest car fare from NJP to Pelling and also I wanted to visit ravangla and namchi in way to Gangtok from Pelling (car fare suggested). From NJP to Pelling a shared car would cost you Rs 350 per head. If you reserve a car like Bolero, Sumo, Max, etc. it would cost you approx. Rs 3,500 for a drop. A reserved car from Pelling to Gangtok via Namchi would cost you approx. Rs 3,500 again. For further details, trip plan, etc. you can mail me. D1- Reaching NJP on 08 Apr 17 in the morning. Proceed to pelling. D2- S/S at South pelling including Utterly, Kaluk etc. D4- proceed to Ravangla after bf. Afternoon Ravangla S/S. D6- Start for NJP via namchi (S/S) & Temi. Plz check your mail for details. You have provided lot of details which really help us to get actual details. Kindly help me to plan my itinerary. I have planned to visit Gangtok with my parents (Father-70 yr & Mother- 60 yr ) and wife & Kids (12 & 9 yr). I reach NJP via train on WED 12-Apr (10am) and I have return train on MON 17-Apr (8PM). I want to Visit Gangtok and surrounding area likes Tsomgo Lake, Pelling, Lachung. We are nature lover and love nature scenery. Kindly provide itinerary suggestion (you can add/remove places from my list) so that my parents won’t feel any tiredness while visiting hill places. As you are accompanying senior citizens, you should not visit high altitude places and regions. Lachung is a village in north Sikkim located at high altitude. Places like Yumthang Valley and Zero Point visited from Lachung are located at further high altitude places. I feel you should avoid and skip visiting these places and cover Pelling instead. You have only 5 nights – 6 days, so you can spend 2 nights at Pelling and 3 nights at Gangtok. I have mailed you in details. Revert back in the mail for further details. Raju, I have already mailed you all details. Please revert back in mail. Mr. Abhijit, we are having a plan to start our journey to NJP from Kolkata on 15/05/17. We shall reach Pelling on 16th. At 2nd half shall visit Rabdence ruins, Pemiyanshi monestery. 2 nd day morning after breakfast shall start journey to Rimbi falls, Kanchanzangha falls, Khecheperi lake & shall go to Yuksam village. At evening will return back. 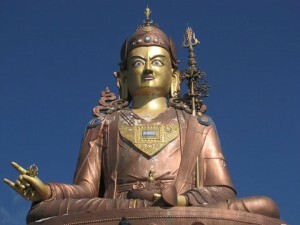 On 18th we want to visit Sangachila monestery, Singshore bridge & uttarey village. At evening will return back. On 19th after breakfast will start journey with A.C CAB to NJP. We 5 people are in the team.i What is your opinion regarding the plan? Guess I am too late to reply in this regard. Let me know if you are still looking for any information. You can reply to my mail. We are planning for Pelling this September. My only concern is about Dashera (30th September). Will the cab’s or shared cars available on that date from Pelling to NJP..?? Please let me know. Thank you for reaching out to me. I have mailed you. Please check and revert back. I can surely help you with all details. Good I would say. May I know where are you traveling to? 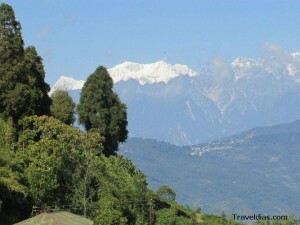 Is it a bad idea to visit pelling on June? Absolutely not. You can travel. Let me know if you need a trip plan or any other detail. You can mail me. please advice we are 2. Kindly help me to plan my itinerary. I have planned to visit gantok-pelling-ravangla-namchi-kaluk-etc.??? But Confused.5N /6D on September.with my (Father-64 yr ) and 2 couple & 2 Kids (7 & 5 yr). Kindly provide itinerary suggestion (you can add/remove places from my list) suggest best car for suitable and comfortable hilly area. Please suggetion Njp to njp 5N/6D or 6N/7D your helpfully itinerary for Sikkim.. best your end. I really apologize for such a late reply. Wish I could reply earlier but unfortunately I was going through a tight schedule. Please let me know if you are still looking for any detail or information. I would love to help you. I have sent you a mail. Please revert back there. I would suggest further accordingly. I have a few queries. I hope you can help me with them. 1) I will be reaching Bagdogra airport around 2:30 PM. Will I be able to get a shared cab till Gangtok at this time? How? 2) Suggest me a tour operator in Gangtok to book a shared cab for two people, for both Natha La, Baba Mandir, Lake & Local sightseeing. 3) How much will it cost to book a cab for Gangtok-Pelling Via Namchi? 4) How can I get a shared cab for sight seeing in Pelling? 5) How can I get a shared cab from Pelling to Darjeeling? Thanks a lot in advance for helping. Couldn’t reply earlier as I was busy with some stuff. Please let me know if you are still looking for any information. I would love to help you with all details and information. Just discovered your blog. Really appreciate for the information and the active interaction you have devoted for many’s benefit. I was wondering if you could provide your suggestions for my short trip. I plan to visit Pelling solo, and will be arriving at NJP rly station by 22:30 (on 27/6/2017). Are shared taxis available then, or should I wait for the morning for it? I wish to be back to NJP by 28/6 night or 29/6 morning to catch a train out of there. Would that be feasible? Please help. I’m landing in Bagdogdra on 31st July and flying out on 6th August. 2) Political situation as direct route seems to be through Darjeeling? Could you give me any tips? My alternative plan is to book a hotel in Gangtok, as I feel this might be safer with the unrest, and more straightforward travel wise, though it would be more expensive, and I imagine more touristy. (Budget hotel suggestions also welcome). Couldn’t reply earlier as I was busy with some stuff. Wish I could reply you earlier. Keep traveling. Please share your experince. I would love to hear from you. what is the political situation of pelling right now.i plan a holiday in nov so please give me the details ….thank you . There was never any political unrest in Pelling. It was all okay there in Sikkim. The political unrest was in Darjeeling. It is okay now. You can visit Sikkim anytime. No issues. Hi Abhijit Da, can you provide me approximate rate if I hire a small car for my entire trip… On 9th I reached at NJP, move NJP to Pelling, on 10th Pelling Sight seen, on 11th move to Gangtok via namchi, on 12th visit Changu lake,baba mandir, on 13th visit local sight seen at Gangtok and on 14th return to NJP from Gangtok. Please inform me if share car available. If possible please provide me the contact number of the driver. Please check your inbox. I have mailed you. Do call me on my mobile. Let us discuss in detail. Me and my husband are planning a tour to Darjeeling and gangtok .The dates are 18th Nov to 25th Nov. We would be landing at Bagdogra at around 3.30 p.m. Kindly sugeest and appropriate iterinary. Thanks in advance. Hi Abhijit, we are planning to visit Pelling from 23-27 Dec. We r 4 adults & 1 child. I need 2 suggestions from you. 1. Good travel agent information from NJP to Pelling. 2. Good hotel names in Pelling (not too costly). Apologize that I couldn’t manage to reply earlier. I was busy with some stuff. I hope you understand that it is so difficult for me to check and respond to each query. I think it is better if we speak. Please call me on my mobile after 9 pm any day. I can surely help you with all details. Myself and my wife are planning to visit Pelling on 15th-17th, from SNT is there any bus services ? And how much time to take reach Pelling ? Also please inform what will be cost for cab (booked/share) …? Me and my wife with my 4 years daughter planned to go Sikkim on23rd of December from Kolkata. We will start our trip from Gangtok (3nights),Namchi(1night) & Pelling(2nights). We have a return ticket from Njp to Howrah for 30th December. All I need to ask that what is the cheapest way to come back from Pelling to Njp. What is the fare for Xylo or Scorpio for such trip. Hello sir, Viewed your ideas.Its really helpful for t first timers.Keep sharing your ideas. Hello sir, Viewed your ideas.Its really helpful for t first timers.Keep sharing your ideas.lam with 4 person reaching Njp on1/3/18.& my return ticket is on 5/3/18.Is it possible to cover both Pelling & Gangtok.Abjit da kindly provide your useful ideas. Ankit Ji, doljatra is on1/3/18.Is it possible to get shared taxis from Njp. Let me know if Ankit Ji replies to you. I wonder who is he? Hum log total ten member aur plan he gangtok, changu, baba mandir, nathula, pelling. Total 3 night stay hoga. 12 se 15 January Tak. 12 ko near 11:00 am njp se 15 ko 3:00 pm Tak. Suggest kijiye car & hotel k sath. i am planing to travel gangtok 1st week of march.and want to go to zero point,i will arrive njp stn on 3rd march at 5 a.m. and on 4th march i want to go zero point,so i cannot understand for how many days i should book my hotel at gangtok.? I have 5 days spare time after my Gangtok visit. Please suggest whether i can cover both pelling and Darjeeling. How can i plan this trip. Is it possible to cover namchi and ravangala on the way. please advice. Hi,how to reach rinchenpong from pelling?Can I cover ravangla on the way to rinchenpong from pelling?If I travel by reserved vehicle for 4 person,how much it will cost from pelling to rinchenpong? I can surely help you out with all details and information. It’s better we discuss over the phone rather than writing emails. Do give me a call on 9831540384. We can surely discuss in detail. We, three members will arrive at NJP on 21st oct around 4 am. We just want to stay at Peling only. We have to return on 24th oct. before 12am at NJP. Please suggest for a healthy tour from all sides. Also tell the expence for that peak season. Thanks. Can we talk in detail? I think that would be helpful. Do give me a call on my mobile. I will visit pelling on 01 cot-2018 and then pelling to Darjeeling 0n 05-Oct2-18. Please let me know whether taxi/cabs are easily avaibale from bagdogra/ siliguri to pelling and pelling to darjeeling. Dear Subhashis! Wish I could reply earlier and help you with all details regarding your Pelling tour in Sikkim. Hope you enjoyed your trip. That’s a good plan. You can segregate your sightseeing in 2 parts stretched across 2 days. The day you reach Pelling should just stroll around and other 2 days, you can spend exploring the places around. I can surely suggest you with hotel and all other information. Please do call me on my mobile. Let’s discuss. Hello Debasmita! Wish I could reply earlier and help you with all information for your trip to Pelling. Hope you had a great time exploring Pelling in Sikkim. Do share your experience, i would love to hear from you. You can ping me anytime when you plan next. I along with my wife and Son (13 yrs.) intend to visit Okhrey-Barsey-Pelling-Ravangla etc. Iwe will reach Siliguri/NJP on 20/04/19 and we have to board on train from Siliguri/NJP on 27/04/19. I have made two itineraries. 21/04 — Okhrey to Hilley and trek to Barsey and Night Stay. 22/04 — Baxck to Hilley. Then Okhrey and proceed to Pelling by shared jeep. 24/04 — Proceed to Rinchenpong. Night Stay. 25/04 — Proceed to Ravangla by shared jeep. Night Stay. 20/04 — NJP/Siliguri to Ravangla by shared jeep. N/S. 23/04 — Proceed to Pelling by shared jeep. N/S. 26/04— Hilley to Barsey. N/S. 27/04 — Barsey to Hilley. Then Hilley / Okhrey to Jorethang. Jorethang to Siliguri by shared jeep. Now, please help me by your valuable guidelines and provide me a proper schedule so that we can enjoy this trip. Please help me about availability of shared jeep. Availability of budget accommodations and / or Holiday Home as we are extreme budget travelers. Thank you for reaching out to me. It is my pleasure to connect with you. This is my bad that I could respond earlier. I was travelling all throughout. I think we should discuss about your plan. There are quite many things which need to be addressed and taken care of. You can call me on 9831540384 and I would love to discuss in detail. Thank you for reaching out to TravelDias. If you need any specific information or suggestion, I can surely help you. You can write back to me at ‘uvreachedavi@gmail.com’ or call me on my number 9831540384 (WhatsApp). I would love to help you. Hi Avijit Da, I have something to ask u. Me and my 6-7 friends, we r planning to travel Pelling in mid of september or early of October. We have planned tht we will reach Njp at 7AM by Uttarbanga exp. then to Pelling. If we can reach Pelling at 11AM can we complete the sightseeing at the same day? After that day we want to visit Rishop via Kalimpong. We want to stay there for 2days then we will back to Sealdah. Please explain me the travelling cost and about the homestays of Rishop. Where to stay LAVA or Rishop. And the weather of mid September and end of September. I will be very thankful to u if u reply me. No, you can’t complete the sightseeing on the same day. You will be exhausted at the end of the day. I suggest you to give at least 1 full day for Pelling sightseeing. Rishyap and Kalimponmg is not a good choice along with Pelling. This is my suggestion but the call is yours. You should cover Borong, Namchi, Ravangla, etc. with Pelling. Rishayp, Lolegaon, Lava, Kalimpong, etc. can be a separate trip. September is not the best time to visit Rishayp, Lolegaon. If it rains, there will be too much of leeches all around. From October onward, it is good time to visit Rishyap, Lolegaon.